It’s been a while since we’ve done a Meatless Monday. I love vegetarian meals because they are so easy and you get your protein and vegetables all in one dish! 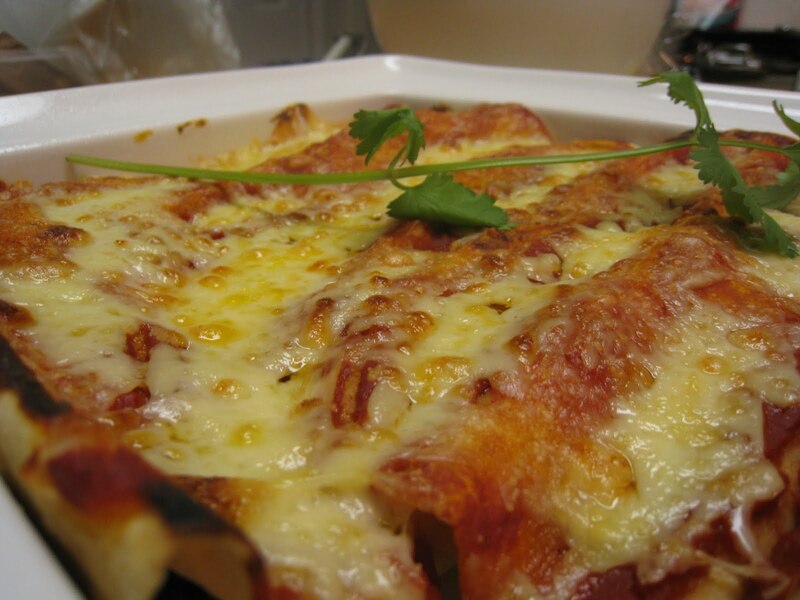 I adapted this recipe to suit my tastes (it was originally meant to be burritos but I prefer enchiladas). We had these along with Spanish rice. Spray cooking spray to coat the bottom of a 9×13 baking dish. In a heavy skillet, cook onions and mushrooms in oil over moderate heat, stirring, until golden. Add spinach and garlic and cook, stirring, until spinach is wilted, about 30 seconds. Stir in black beans, lemon juice, salt, pepper, and red pepper flakes and cook for 8-10 minutes over medium low heat. In a small saucepan, heat enchilada sauce. Place tortillas in microwave for about 30 – 60 seconds to warm through. Spoon spinach mixture into tortillas, roll up, and place with seam side down in baking dish. Pour enchilada sauce on top of enchiladas and top with cheese. Broil on high for 5-8 minutes until cheese is melted. Serve with sour cream.